MusicTrans is a powerful learning tool for playing any song. Take your favorite instrument, open your song and start learning it at your own pace. 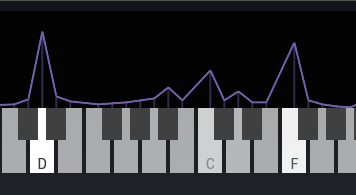 Without touching any control, MusicTrans will give you a graphical view of what notes are being played. An intermediate player can easily get the basic chords just by looking at the screen, and that’s just the tip of the iceberg! From there you can start using the different sound processing techniques included in MusicTrans to catch all the details. 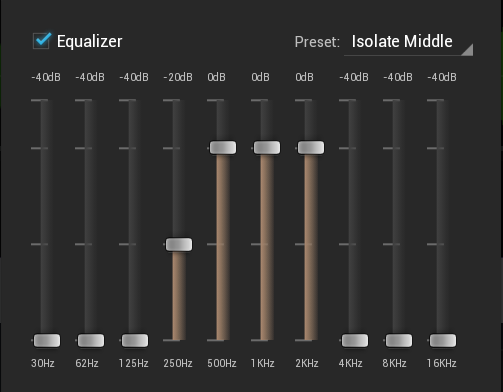 With MusicTrans you can slow down a song, remove the vocals, isolate certain frequencies, and more. 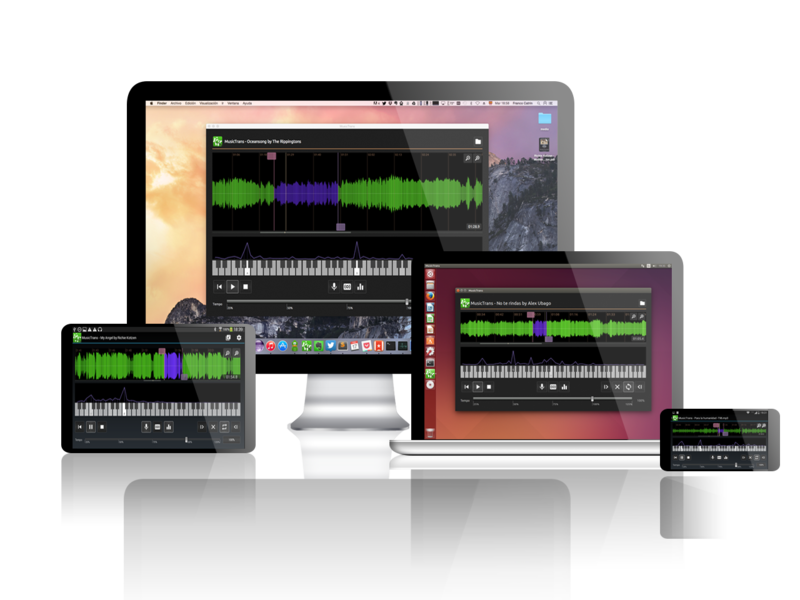 The graphical note analyzer will reflect exactly what you are listening to at any time. If the notes weren’t clear enough at the beginning, with some adjustments they will become clearer and clearer. We recommend you watch these videos for some examples of how to use MusicTrans with real world cases. MusicTrans is available for Android, Windows, Mac OS X and Linux. The Android version is a FREE TRIAL, once the free trial expires it will run with all the features enabled for a few minutes, then it will go to silence. For the full unrestricted use of MusicTrans you can buy a license through Google Play for Android or directly from us for the Desktop version. Start learning the song without any setup. Just watch the screen for some note hints in realtime. Apply any effect and see how the notes become more evident. View each part of the song at first glance. You can zoom in/out until you find the segment that you are looking for. Touch or click the screen to instantly set the playing position. Mark a loop region to listen that difficult segment over and over. Make fine adjustments on your loop selection by just moving the loop markers with your fingers. Adjust the song tempo until that fast guitar phrase become a clear sequence of notes. You can go down to 25% of the original tempo, without affecting the pitch, of course. 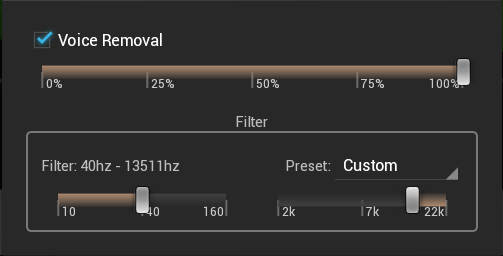 Use the Voice Removal tool for reducing the voice volume on most songs. If there are other instruments affected while applied, you can preserve them with the adjustable band pass filter. Want to hear that instrument that is only on the left or only in the right stereo channel? 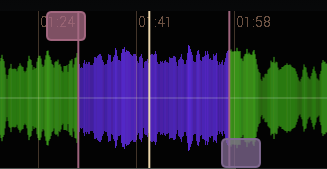 Use the panning control to move that channel to the center, as if it was the main instrument. Sometimes you will only want to listen to the bass, or maybe even remove it completely. You can do it with MusicTrans’s powerful equalizer. If you have a good subwoofer, it’s even fun to give it a test leaving just the sub bass of your favorite songs. We hope that MusicTrans will be your favorite musical analysis tool! 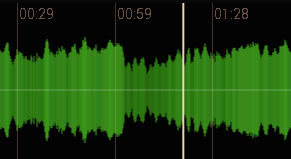 (*) Voice reduction depends on how each song has been recorded. It will affect all the instruments in the central channel. Hola Franco, soy smartfinder, seria interesante el poder guardar los segmentos filtrados como pistas en wav o como projectos por pista para posterior exploracion, a simple vista me dio la idea que podia convertir al audio a midi, pero veo que no fue asi, tal vez el exportar dichas pistas filtradas sirvan para un trabajo complementario con otro progama que realice este propocito, aunque entiendo que un musica tiene capacidades suficientes para entender la composicion de cada melodia con dicho programa. Otra idea seria interesante saber a modo de tutorial cuales pueden ser las mejores opciones de acuedo a tipos de grabacion, como un tutorial anexo interactivo para android complementario a tu programa xD. Saludos Mister y felicitaciones por su proyecto tan bien logrado. Hi, what a great little tool – especially the one for android! Just postet this news on my Facebook account. I would suggest to add the possibility to save loops (compare to “transcrypt”) which would make it even more versatile. Some people are asking for that “save loop” feature, which is exactly the use case? What would you like to do with that saved clip?